2018 Fulbright Science and Innovation Graduate Award Grantees Announced. The Fulbright Science and Innovation Graduate Awards are for promising New Zealand graduate students to undertake postgraduate study or research at US institutions in fields related to science and innovation. The awards are available to support New Zealand’s economic, social, environmental and cultural needs, and to build international science connections. “Science systems do not flourish in isolation and international connection is key to ensuring that New Zealand’s system continues to deliver excellent, high impact research for the benefit of New Zealand,” says Dr Prue Williams, MBIE General Manager Science System Investment & Performance. Fulbright New Zealand Graduate Awards can be used towards a Masters or PhD programme, or grantees can participate as a Visiting Student Researcher (VSR). A VSR allows grantees to spend between 6-12 months studying or researching a topic or proposed project in the US, usually as part of a degree programme within New Zealand. Due to the recent funding increase from the Ministry of Foreign Affairs and Trade and other partners like MBIE, there are new levels for all New Zealand Graduate and Scholar Awards going forward. 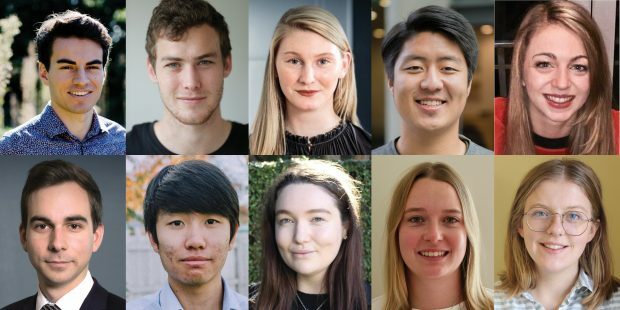 Applications for all New Zealand Graduate Awards, including the Fulbright Science and Innovation Awards, are due 1 August. For more information, please contact Fulbright New Zealand Communications Manager Rachel Tilghman on Ph. 04 494 1507. ENDS. Fulbright New Zealand opens doors for tomorrow’s leaders and thinkers through life-changing educational and cultural exchanges between New Zealand and the United States. The Fulbright Forum is a speaker series aimed at addressing topical areas of research that affect our world. MBIE’s purpose is to Grow New Zealand for all. ‘Grow’ relates to the economy. To achieve the standard of living and quality of life we aspire to, we need a better-performing economy that delivers sustainable growth. ‘For all’ captures growth for New Zealanders now and in the future – growth that doesn’t compromise our environment or the safety of our workplaces. Achieving this will mean New Zealanders have higher standards of living, higher incomes, greater job opportunities and good quality, affordable housing.